A Plus Coach of Massachusetts offers our clients superior Scituate Wedding Transportation services for a fraction of the cost of our competitors. What better way to celebrate your big day then to treat yourself, your partner and guests to luxurious wedding transportation in Scituate. We have made it our life’s work to provide affordable and reliable ground travel to all of our beloved clients throughout Massachusetts. A Plus Coach’s well-fortified fleet of luxury automobiles has something for everyone. Here is a list of our Scituate Wedding Transportation vehicles that are also perfect for a wide range of other special events. Lincoln Town Car Sedan – A Plus Coach of Scituate, MA offers exceptional executive town car service to a wide array of locations in the Massachusetts area. Boasting black leather seating, rear audio and climate control options and an extended cab for loads of legroom, this is the way to travel when it is just you and an extra couple of guests. This is where style and affordability truly come together in perfect harmony. Lincoln Stretch Limousine – Nothing screams class and style like our Scituate Wedding Limousine. Climb in and enjoy a night of regal comfort and pampering. From the soft seating to stocked bar, you’ll feel like a millionaire in this classic ride. Black Suburban SUV – Night out on the town, hosting business types for an evening outing, or simply need to rush from the airport to an important meeting ? This is the option for you. Look like you mean business in our Suburban SUV. They are suitable for many situations, while not being the slightest bit pretentious. Play host to your pals or colleagues for the night or merely pamper yourself for a short while. Either way you’ll be more than pleased with our Scituate Wedding Transportation Services of Massachusetts. Call 877-768-1700 to book your Scituate Wedding Transportation Services today. No matter the size of your wedding party, A Plus Coach’s Scituate Wedding Transportation can handle it all. And we don’t just play host to weddings either. A Plus Coach specializes in a variety of events. We roll out the red carpet like none-other and take care of your every need. We are affordable as well. Here are just a few scenarios that you might consider when choosing to hire an affordable luxury car service in Massachusetts. Bachelor Parties and Bachelorette Parties – This is a night to cut-loose, if there ever was one. A Plus Coach offers the very best in Scituate Wedding Transportation services to all those seeking a safe and spacious way to bar-hop with all of your friends. Why hassle with costly taxis and unreliable forms of transportation? There is no need. For a reasonable price we will pick up your whole gang and show you a night to remember. Wedding Parties and Weddings – Now that you’ve calmed your jitters with a night out on the town with all of your closest guy and gal pals, it’s time for the main event. Our Scituate Wedding Transportation Services are the best in Massachusetts. Treat yourself and your guests to professional luxury car service for the big day. You will thank us later. We have antique wedding cars for the marrying couple, plus we have every vehicle imaginable to ensure your wedding party is well taken care of too. Begin the next chapter of your life the right way – in style. 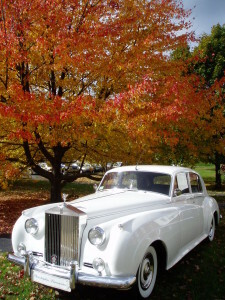 Click here to read more about our Antique Wedding Cars. Prom Night and Homecoming – There comes a time in every young adult’s life when school dances become the only thing they can think about. Why not reward all of their hard work by providing them with affordable, safe AND stylish means of transportation? Make it a night they can remember, as well make it a night that you, the parent, doesn’t have to worry. 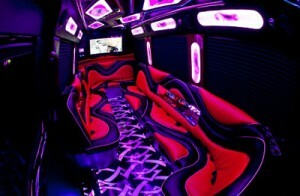 A Plus Coach provides safe and affordable Scituate Prom Night Transportation for the young ones.